Paris (AFP) - A protein unique to a miniscule creature called a water bear, reputedly the most indestructible animal on Earth, protects human DNA from X-ray damage, stunned researchers reported Tuesday. Human cells cultivated with the newly-discovered protein, dubbed "Dsup" for "damage suppressor", experienced half as much decay as normal cells when blasted with radiation. "We were really surprised," said lead author Takuma Hashimoto, a biologist at the University of Tokyo who designed the experiments. "It is striking that a single gene is enough to improve the radiation tolerance of human cultured cells," he told AFP, referring to the tardigrade-derived protein. Tardigrades, as the water bears are more prosaically known, have long fascinated scientists with their veritable superpowers of survival. Barely the size of a grain of sand, they look as if they escaped from a Star Trek sequel. Seemingly eyeless, they have bodies resembling hazmat suits, eight puffy legs with bear-like claws, and a vacuum-cleaner nozzle of a snout. Most eat moss and lichen. Some feed on other water bears. Remarkably, these primitive water-dwellers can withstand environments more extreme than anything found in Nature. That includes being plunged into scalding liquids or frozen at temperatures just shy of absolute zero. In an earlier experiment, water bears were given a 26-hour bath in -253 degree Celsius (-423 degree Fahrenheit) liquid nitrogen. The deepest chill ever recorded on Earth was a relatively balmy −89.2 C (−128.6 F) in Antarctica. All it took was a few drops of water for the critters to spring back to life. Some tardigrade species -- there are about 1,000 in all -- can handle crushing pressure at least six times greater than found at the 11-kilometre (seven-mile) deep Mariana Trench in the Pacific Ocean. Even the ravages of outer space don't seem to faze them. In 2007, thousands of water bears, attached to a satellite, were exposed directly to potentially-deadly space radiation in vacuum conditions and then brought back to Earth. Not only did many survive, some females later laid eggs which yielded healthy offspring. To survive extreme conditions, water bears can also slip into a state of suspended animation in which they lose almost all the liquid in their tiny bodies, and metabolism slows to 10,000 times below the normal rate. Scientists still do not know how they do all this. Most research has concluded that water bears have a heightened capacity to repair damaged DNA, especially as they emerge from a state of extreme dessication, which can last for decades. However, in their experiments with human cells, Hashimoto and colleagues found the tardigrade's Dsup protein could also "work as a kind of physical shield to protect DNA" -- especially from X-ray harm. The findings were published in the scientific journal Nature Communications. 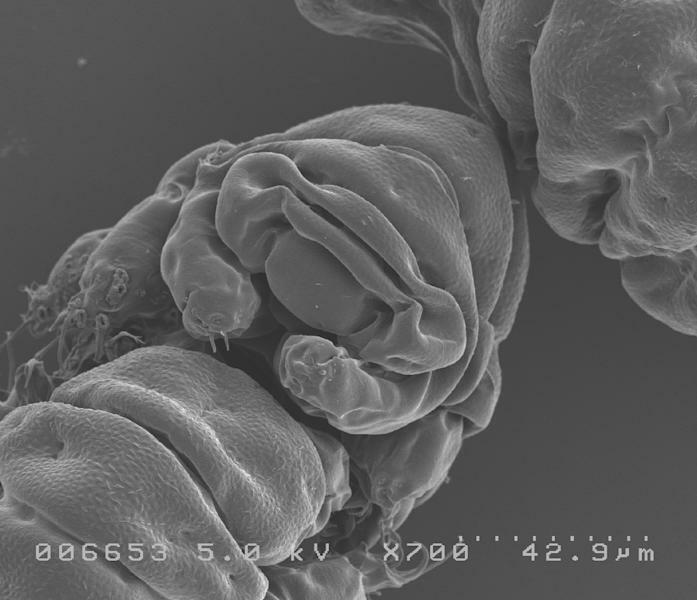 The results may resolve a controversy that erupted after another team of researchers published the first complete genome of a tardigrade -- from the species Ramazzottius hypsibius -- last December in the US Proceeding of the National Academy of Sciences. That study had found that nearly a fifth of the species' DNA had been obtained from other plants and animals, a new record in the animal kingdom for so-called horizontal gene transfer between species. This, they hypothesised, accounted for the remarkable resistence of water bears. Almost immediately, other scientists speculated that the high percentage of foreign DNA found was more likely the result of sample contamination. Hashimoto's results suggest the critics were right. 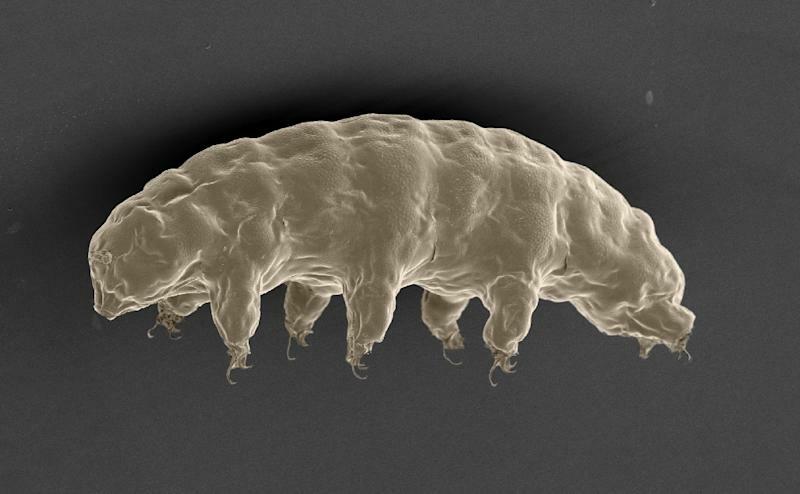 His team sequenced the genome of a different species, R. varieoranatus -- thought to be the hardiest of all tardigrades -- with a precision 100 times greater, and found that foreign genes accounted for only 1.2 percent. "This suggests that horizontal gene transfer is not a major cause of tolerability," said Hashimoto.